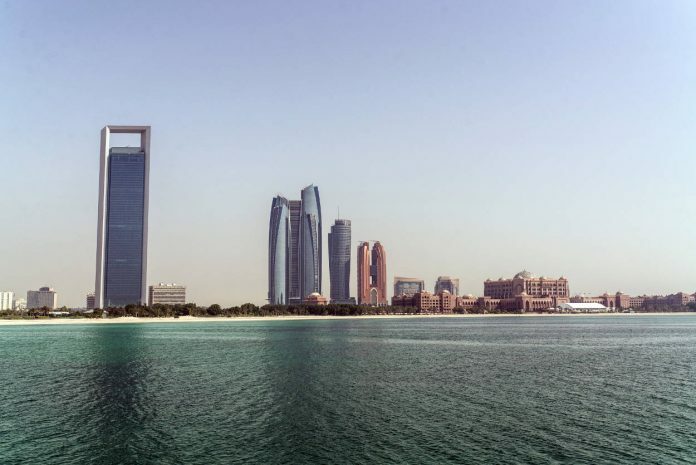 (Bloomberg) — Abu Dhabi is considering combining Abu Dhabi Islamic Bank with First Abu Dhabi Bank to create the Middle East’s largest lender, according to people with knowledge of the matter. The emirate plans to wait for a three-way combination of Abu Dhabi Commercial Bank, Union National Bank and Al Hilal Bank to close before starting fresh talks to condense the finance industry further, the people said, asking not to be identified as the talks are private. An ADIB spokesman also declined to comment. The firm, which has a market value of $4.3 billion, in February said that it’s always studying options to strengthen its client base and market value after Bloomberg reported that it was weighing strategic options for its business. Abu Dhabi, home to about 6 percent of global oil reserves, is stepping up efforts to create leaner and more competitive banks after a slump in crude prices. 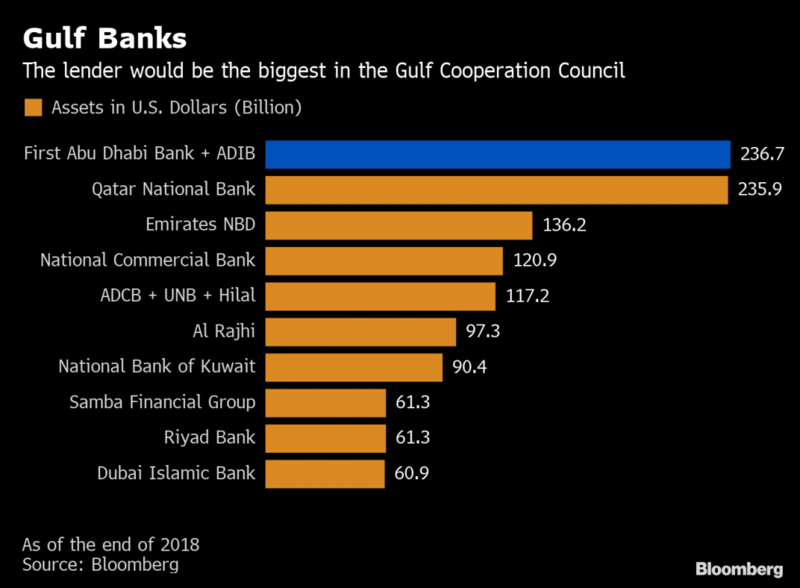 FAB was formed by merging National Bank of Abu Dhabi and First Gulf Bank in 2017, and the emirate has also combined three of its sovereign wealth funds.